One of the most exciting things about falling pregnant for me was being able to share the journey with my sister. We’ve always been close and in fact she’s more than my sister, she’s my best friend. I’ve spoken before about the fact I had been trying for a few years before finally being able to fall pregnant and it was purely by chance that it finally happened two months after my sister conceived. I like to think that the universe (and maybe even our bodies on a fundamental level) decided that along with everything else we’ve shared in life we needed to share this too and that’s why it took me so long. Whether it was fate (if you believe in that sort of thing) or just a happy coincidence being able to share this experience with her has been one of the most special moments in my life. Not to mention the added bonus of having the support of another novice mother to be to discuss all the different changes and challenges of pregnancy with. 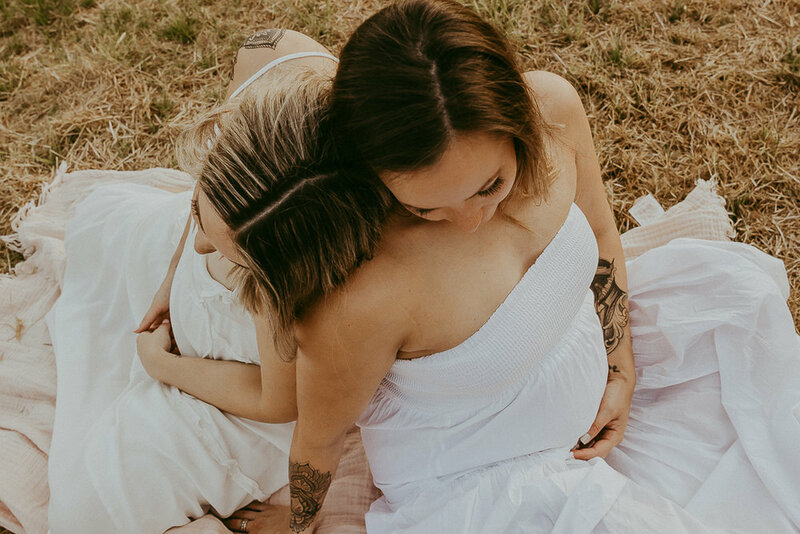 We were thrilled then, to collaborate with local Perth photographer, Merrisa from Lyla Foto on a sisters pregnancy shoot. Merrisa started out taking photos for her children’s wear label Lyla & Gene which evolved into a family photography business that creates images with a beautiful etherial and boho vibe. Make sure you checkout her other works on Facebook & Instagram.